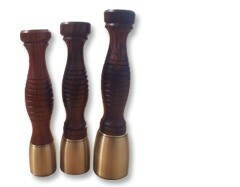 These brass mallets are hand turned in the USA. They were originally designed by a master carver and the ergonomic handle fits comfortably in your hand. 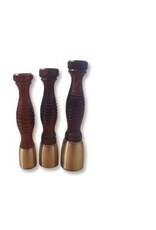 They feature beautiful hardwood handles and finished brass. Three weight groups are available. Because they are handmade there are some subtle differences piece to piece. There are works of art on their own.